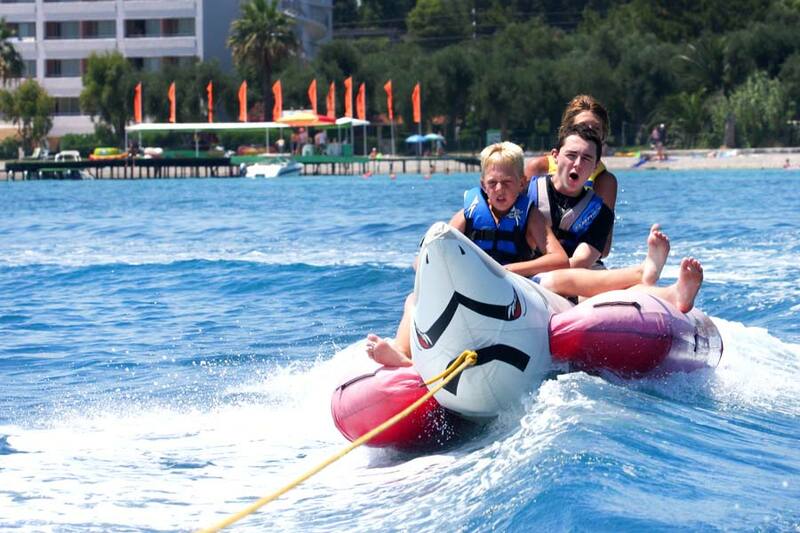 What is this new summer trend known as SUP?Do you like surfing or just enjoy some fun at the beach? Then SUP is perfect for you! SUP is short for Stand Up Paddleboarding. It has its roots in Polynesia and is one of the fastest growing water sports. It does not require any special skills and appeals to people of all ages. SUP is an easy and modern water sport that combines great exercise with fun.How is that possible?SUP is actually quite simple. 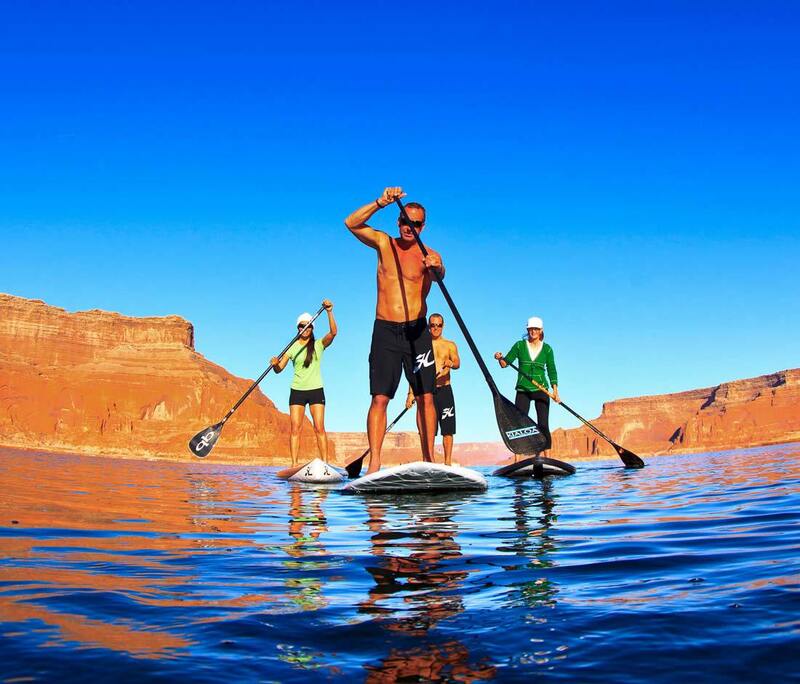 You just have to stand or even kneel on the stand-up paddle boards. These are some of the biggest boards that float smoothly in the water. You can move around using a long paddle at the ideal length for you. By moving constantly and changing your body position you actually work out without noticing. Balance is SUP's greatest challenge and the secret to having even more fun while at it. How long can you really stay on the board without falling?Enjoy the ultimate SUP experience at beautiful Dassia Beach!The stunning Dassia beach is the perfect place to try SUP. The crystal clear waters provide the perfect conditions to calmly navigate the sea. Explore the deep waters and discover beautiful unexpected landscapes. With friends or alone you should give SUP a chance and will not be disappointed! What is this new summer trend known as SUP? Do you like surfing or just enjoy some fun at the beach? Then SUP is perfect for you! SUP is short for Stand Up Paddleboarding. It has its roots in Polynesia and is one of the fastest growing water sports. It does not require any special skills and appeals to people of all ages. SUP is an easy and modern water sport that combines great exercise with fun. SUP is actually quite simple. You just have to stand or even kneel on the stand-up paddle boards. These are some of the biggest boards that float smoothly in the water. You can move around using a long paddle at the ideal length for you. By moving constantly and changing your body position you actually work out without noticing. Balance is SUP's greatest challenge and the secret to having even more fun while at it. How long can you really stay on the board without falling? Enjoy the ultimate SUP experience at beautiful Dassia Beach! The stunning Dassia beach is the perfect place to try SUP. The crystal clear waters provide the perfect conditions to calmly navigate the sea. Explore the deep waters and discover beautiful unexpected landscapes. With friends or alone you should give SUP a chance and will not be disappointed!